I wish they would expand to the rest of the country. 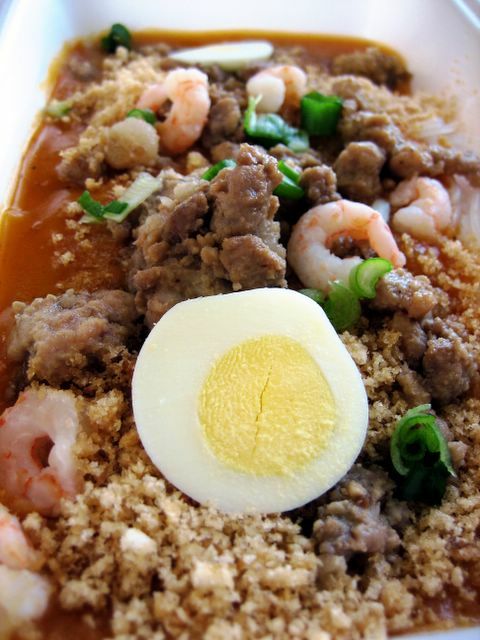 I love Filipino food! And while we have TONS of Filipino restuarants around here, it would still be nice to have something decent to grab on road trips. Im not a fan of the golden arches myself. 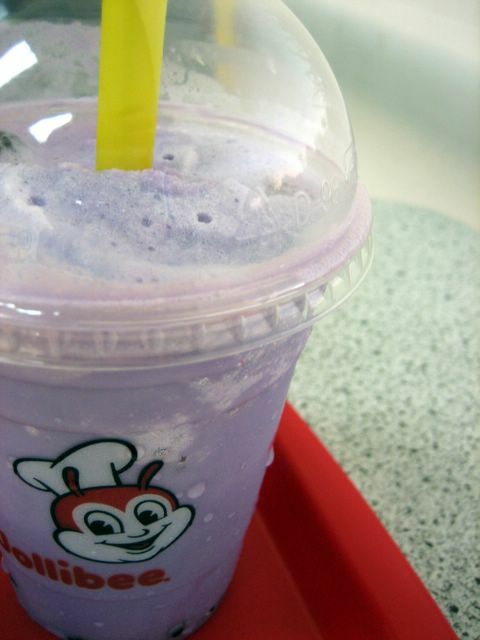 It's too bad their ube shake isn't very good, because I have had some very tasty ube shakes. I like ube in general. Every had ube bread? Fantastic! Funny you should mention that California rolls are American. I avoid them for just that reason. What can I say? I'm a purist. My friend calls them "wuss sushi." HA! I think Chowking's getting up there too in the Filipino fast-food market. And a couple more questions: is ube similar to Okinawan "beniimo", and is there such a thing as "ubi ungu" or "ubi merah" in Indonesia (I'm just guessing on that one)? I think those ube shakes have a very short half life since they're made from a mix. I would imagine it would be a lot better if it were made from actual purple yams. I love the taste of natural ube...kinda like taro, but sweeter. I have had ube bars, but not ube bread...but ube bread sounds awesome! Actually, did you know that Chowking is OWNED by Jollibee? It's true! Jollibee bought them in 2000. Not too sure of the Indonesian or Japanese versions of ube. I've actually never seen it in Indonesia. I had to come to the States to see it. But then I was just a kid when I moved here. Don't forget that Beard Papa's also a chain to cross the ocean too! Also, you got me in trouble with my boss today Elmo. I read this line, "And besides, if it's wrong to have a hot dog and cheese on the same plate as spaghetti, then I don't want to be right[,]" and I bust out in tears of laughter. I couldn't contain my uproarious cackling! My boss walked by and said, "What are you doing?!" Is it just me, or does that bee look like Astroboy? "Funny you should mention that California rolls are American." California rolls are clearly Californian. I had them at lunch at a Japanese restaurant with a couple Chinese guys. We discussed how all food gets Americanized when it is imported here. One of the guys said he hardly liked the real Italian food he had when he was on a trip to Italy. Which brings me to my point: if something tastes good then don't get worked up about how authentic it is. 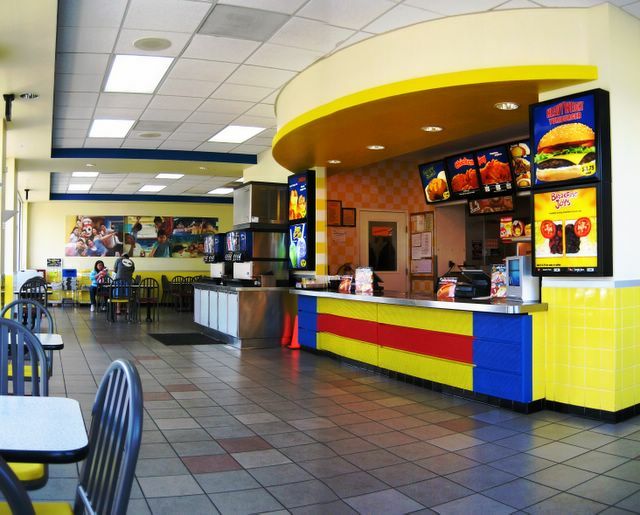 Anyways, I found out about Jollibee a little over six years ago and was shocked at how much like McDonald's it was. LOL! Happy to get you in trouble! Well, at least tickled that you almost did. Remorseful if you actually did. But in any case, I forgot about Beard Papa's entirely! I'm sure I'm missing others that completely skipped my mind. All he needs is a cowlick that sticks out and it'd be Astroboy indeed! I'm also ashamed to say that I like hard shell tacos too. I think someone told me that the hard corn shell on a taco is primarily an American invention. As is nachos! Whodathunk!? I had a friend, a Mexican girl, who was very nationalistic who insisted on only eating what she thought of as authentic Mexican food. She absolutely insisted that I could not know any place that had authentic Mexican food. According to her the only place you could find it would be hole-in-the-walls in Santa Ana. I said, "Yeah, I know some good places like that." "But there's no way you could possibly recognize authentic Mexican food." Anyways, one time we went to a movie and she got the nachos they had there and I really let her have it. "You mean to tell me you're always going off about how you'll only eat authentic Mexican food and now you're eating the fakest 'Mexican food' ever created?!" "Well, I don't consider these Mexican." "Yes, but they claim to be Mexican." I don't know where our argument ended but my point is the same: yes, authenticity exists but it's not always an either/or proposition. Sometimes American spins on ethnic foods get worked into the cooking repertoire of people of that ethnicity and they in turn put their own genuine spin on it. That's a funny story indeed. Reminds me of another hilarious exchange I had with a co-worker. After he brought back a Teriyaki Chicken Bowl from a take out place across the street for the third time that week, I remarked, "Hey you really like Japanese food, don't you?". "No I don't," he retorted, "this food is Korean, since that Japanese place is owned by Koreans." Then I said, "so you mean to say, the food takes on the nationality of the person cooking it?" Cheerfully and triumphantly, I told him, "then that means just about every food you have at almost every restaurant around here is Mexican!" I actually favor Chowking a lot more than Jollibee. Especially the fact that they now serve Filipino breakfast with tocino, longanisa, etc, with eggs and garlic fried rice all day long! Jollibee used to operate a branch in Long Beach a couple of years back, but it closed. There's also one in Northern California (close to Daly City, I believe) that's been around for a while. 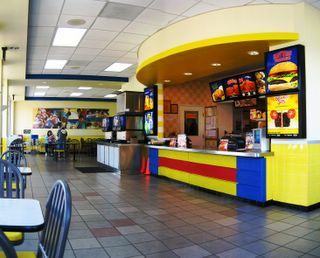 I remember in early 2000/2001 that when Jollibee first opened up in the States, it was first showcased up in Nor Cal before it opened up in So Cal. I could be wrong, though, since this was second hand information that I heard from my mother. I also heard from someone that those who opened the Jollibee franchise are part of the 'Jollibee' corporate family. 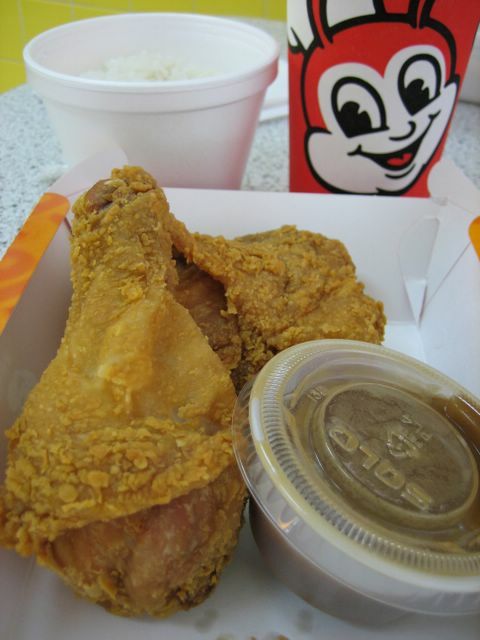 Having been to the Philippines and eaten at Jollibee there and then eating it here, it does fill some sort of nostalgic hole for those who grew up on the stuff and want the comfort reminder of 'home.' However, from living in California for so long and having developed the 'healthy eating' culture of living here, I don't view Jollibee as a nostalgic treat but more as empty fast food. A recent experience of eating one of their burgers and their mango-langka pie didn't sit too well with me, to say the least. Looks like there are a few that have popped up in So. Cal to take the place of the late LB branch. I just found out there's actually one in O.C. (well kind of), in Rowland Heights/La Habra...I've yet to verify it though. However, the new one on Beverly inspired fellow food blogger to write this hilarious post -- seen from the eyes and palate of an American. Or as "The Mexican" would usually say it, a "gabacha". I've tried the langka pie on a earlier visit and liked the old school deep fried crust more than the filling. I haven't yet found a need to try a Yum Burger though...and from your review of it, I doubt I ever will. Hey there, fellow L.A citizen here. Would you like to create a blogroll link exchange between me and you? There's a Jolliebee's in Carson. 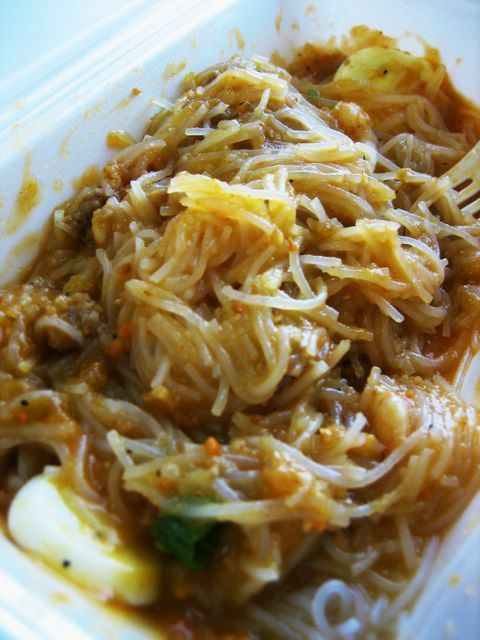 Other cross-Pacific chains include Tapioca Express, Lollicup, Bobaloca, Quickly and BCD Tofu. 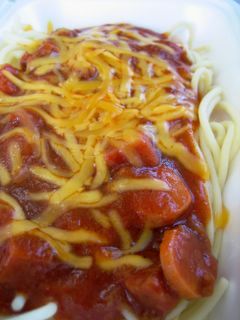 Elmo, this just cements your legendary status as a MUST-READ food blogger!! [in Cerritos, of course, for maximum authenticity...outside of Daly City, anyway]. You have this amazing telepathy for giving us avid readers the reviews we subconsciously want!! Anyhoo, I remember scanning the Jollibee menu online about 9 months ago, and thinking how the only thing that I might have wanted was the peach mango pie. But now I know to sample the Fiesta Palabok! I can't wait for the next posting on an eatery that you will mine from my subconscious!!! I KNOW THAT JOLLIBE HAVE A GOOD SERVICE AND A BUNCH OF BRANCHES BUT EVERY MORNING IF I ORDERED CHICKEN THEY DON'T HAVE ANYTHING TO SERVE SO I WISH THEY COULD COOK CHICKENS EVERY MORNING BECAUSE THAT MY FAVORITE FOOD!